Bitcoin (BTC) may be struggling price-wise, but an array of analysts claim that from a fundamental perspective, the cryptocurrency is stronger than ever. And while headlines have focused on impending institutional involvement, whether it be through Bakkt, Fidelity, ErisX, or otherwise, little attention has been drawn to Bitcoin’s network statistics. Interestingly, however, the latter set of fundamentals is where the meat is, so to speak. Leading crypto trader Thrillmex, who also goes by Rampage, recently took to Twitter to issue a breakdown of Bitcoin’s pertinent network statistics, and what they indicate. Bitcoin miners revenue is hitting a near 2 year low. This also means that it's becoming super cheap to transact on the network again. Anyone remember the ridiculous fee's and long wait times to transact in late 2017? In spite of this, however, the average daily transaction count on Bitcoin is nearing December 2017’s all-time highs, when BTC entered a “full-on parabola” stage. The number of Bitcoin wallets made on Blockchain.com has also swelled, with there now being 33 million verified users. The dichotomy between waning miner revenues and the near-consistent growth in hashrate led Thrillmex to deduce that money is still getting siphoned into this space. And as such, he determined that the underlying Bitcoin blockchain is likely stronger than ever, in spite of the tumult that BTC has undergone. From a more anecdotal perspective, Thrillmex explained that as miners have the “most skin in the game,” no one wants to see Bitcoin succeed more than they do. Therefore, said entities will do everything in their power to maintain profitability. But Thrillmex made sure to remain cautiously optimistic. Ending his thread, the analyst noted that capital continues to pour into this space to build out infrastructure, but “without a corresponding user base.” Yet, he added that this only accentuates that Bitcoin holds a great risk, but monumental upside potential — an “asymmetric risk/return profile” as Anthony Pompliano of Morgan Creek Digital would put it. But, Filb Filb begged to differ. 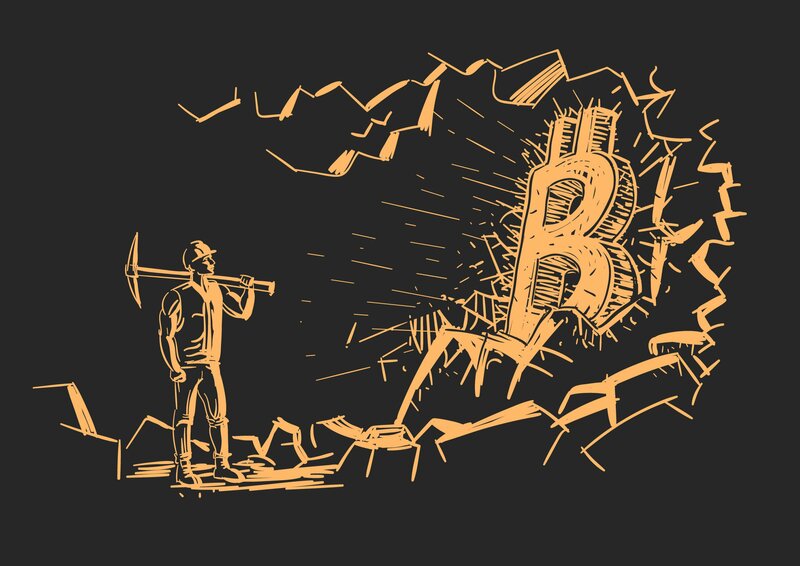 The analyst noted that the use of the aggregate value of transaction fees in this context is moot, as 99% of a miner’s revenue comes from block rewards, rather than the transaction market. Anyhow, the fact remains that the Bitcoin Network’s hashrate is trending higher, even as BTC continues to trade in a tight range under $4,000. Held, who founded Interchange, drew attention to the fact that despite the so-called “crypto winter,” Bitcoin is still seeing upwards of $1 billion in nominal transaction value each and every day. The long-time industry proponent added that the development of Bitcoin-centric scaling, privacy, and programmability protocols, like the Lightning Network, Taproot, and Rootstock, should have investors enthused. From a business-focused perspective, Held also noted that Bitcoin has garnered a stamp of approval from the Intercontinental Exchange, in the form of Bakkt, Fidelity Investments, among an array of other Wall Street mainstays. While this isn’t an explicitly bullish catalyst for decentralized, digital money, some pundits have argued that Bitcoin provides an easy-to-use way out of the incumbent financial ecosystem. Travis Kling, the chief investment officer of Ikigai, recently quipped that Bitcoin is a perfect hedge against “fiscal and monetary policy irresponsibility.” He stated that the monumental rise of employed quantitative easing (QE) strategies, along with the growth of debt, is “how you would write the script” for the adoption of cryptocurrencies, especially ones that aren’t tied to the legacy world.